Brother of Cdr. Brian Osborne Babb, MBE, RNVR. A/Wt.Eng. = T/Wt.Mech. = T/Act.Sen.Cd.Mech. T/A/Wt.Cookery Offr. = T/Cd. Cookery Offr. Education: Foyle College, Londonderry; University of Edinburgh (student of Medicine); LRCP&S (Edin), LRFPS (Glasg) 1907. Staff, West Downs School, Winchester. Son of the Rev. and Mrs. A.J. Back. Married Olive Back, of Emsworth, Hampshire. Son of Herbert T.W. Back and Evelyn M. Back. Married Winifred Maud Back, of Peverell, Plymouth. Son of Rev. Hugh Cairns Alexander Back (1863-1928), and Maud Ellen Fletcher (1865-). Son of Charles Hubert Backhouse, and Maude Constance Ritchie. Maried Contance Maud ...; two daughters. Son of Mr ... & Mrs H. Bacon. Married (21.12.1939, Sydney) Nyra Dalton. Son of Sir John James Baddeley, Bt., J.P., and of Lady Baddeley (nee Locks). Husband of Constance Baddeley, of St. John's Wood, London. Education: Geelong Coll. ; Gordon Inst. of Technology; Universities of Melbourne, London (PhD), Glasgow (DSc). Finney-Howell Research Fellow, London, 1940-1941; Research Chemist, ICI, 1941-1943; Research Fellow, Glasgow, 1946-1949. Univ. of Adelaide: Sen. Lecturer, 1949-1951; Reader, 1951-1954; Prof. of Organic Chemistry, 1955-1964, now Emeritus Professor; Dep. Vice-Chancellor, 1966-1967; Vice-Chancellor, 1967-1977; Res. Professor, 1977-1979. Dir, Western Mining Corp., 1979-1988. Member. Executive, CSIRO, 1964-1965. President: Aust. Acad. of Science, 1974-1978; Aust. and NZ Assoc. for Advancement of Science, 1979-1980; Chm., Order of Australia Assoc., 1989-1992. DUniv Adelaide. H. G. Smith Medal, 1951, A. E. Leighton Medal, 1971, RACI; W. D. Chapman Medal, Institution of Engineers, Australia, 1974; ANZAAS Medal, 1981. Published: Structures and Reactions of Aromatic Compounds, 1954; Chemistry of Heterocyclic Compounds, 1961; The Chemical Basis of Carcinogenic Activity, 1962; Aromatic Character and Aromaticity, 1969; (ed) Captain Cook, 1970; The Explorers of the Pacific, 1988; numerous papers in Jl Chem. Soc., etc. Son of the late Robert Armstrong Alexander Badham and Ida Jeannette Morrison. Married 1st (31.07.1954) Anabel Sweetapple of Sydney, Australia (died 1977) (divorced 1969); two children. Education: Windlesham House School of Sussex (1936-1940); RN College, Dartmouth (St Vincent House; 01.05.1940-1943; Admiralty No. 215). died between 07.1952 and 07.1958 ? Education: RN College, Dartmouth (Blake House; 01.05.1939-1942; Admiralty No. 84). Youngest son (with two brothers and one sister) of William Henry Bailey (1878-1948), solicitor, and Winifred Anne Sowter (1887-1967), of Kingston Manor, Taunton. Son of Col. Percy James Bailey, OBE. Married (29.10.1932) Rosemary Anne Freeman-Mitford (19.09.1911 - 2006); two sons, four daughters. Youngest son (with two brothers and one sister) of William Henry Bailey (1878-1948), solicitor, and Winifred Anne Bailey (1887-1967), of Kingston Manor, Taunton. Brother of Lt.Cdr. John Savile Bailey, OBE, DSC, RN. Son of late Sir James Bailey and of Lady Bailey (nee Bromnell), of Chelsea, London. Married (15.08.1922, Charlevoix, Mich.) Mildred, daughter of late Col. Charles Bromwell, US Army; one son, one daughter. Only son of late William Adolph Baillie-Grohman (1851-1921), Kootenay pioneer, author and sportsman, and Florence Nickalls. Married ((09? ).1915, Kingston district, Middlesex / Surrey) Evelyn Taylor, eldest daughter of Arthur S. Taylor, MD, FRCS; one son (and one son deceased). * Has at all times shown great judgment and the highest knowledge of minesweeping. He has handled his ship in very tough weather and passed the sweep with the greatest skill and expedition, thereby rendering most valuable assistance to me as my sweeping partner. ** On other papers the Vice Admiral Dover has called attention to the excellent work done by the Mine Clearance Officer, Lt. Commander Baillie-Grohman. This officer has accepted the personal risks to some extent and it is suggested that his name is included in those mentioned for their services. Naval ADC to the King ? Education: RN College, Dartmouth (Drake House; 01.05.1941-1944; Admiralty No. 296). Son (with one sister) of Arthur Bertram Baines (1873-1944), and Olivia De Burgh Mansergh (1874-1947). Married ((14.12.1938, Epsom, Surrey Mid Eastern district) Shelagh Cecil Gladstone (1909? - 22.09.1968), of Sutton, Surrey. Education: RN College, Dartmouth (1926). Son of Geoffrey Henry and Helen Jane Baird. Married (1953) Angela Florence Ann Paul (died 14.05.2009), Symington, Ayrshire; one son, one daughter. 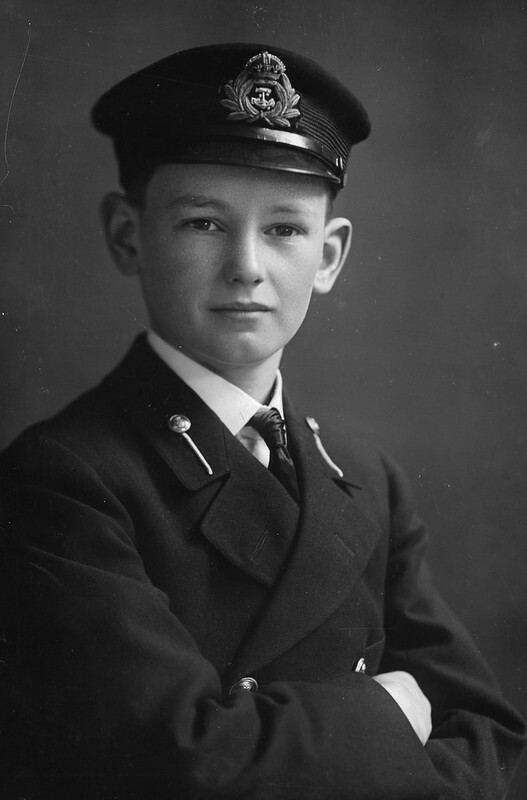 Education: RN College, Dartmouth (Grenville House; 01.01.1938-29.07.1941; Admiralty No. 1870). Chairman Executive Committee, Erskine Hospital, 1986-1995. DL Ayr and Arran, 01.07.1982. Son of George Bartrum Baker and Gwendolen M. I. Baker, of Cave, Canterbury, New Zealand. 1920 ? Son of Edmund Baker, and Henrietta Atkinson. Married ((09? ).1924, Dover district, Kent) Patricia V. Bowen; one son (Capt. Michael John Buckingham Baker, RN), one daughter. Son of H.M. Baker (?-1916), solicitor. Married (17.12.1927, St Peter's, Bayswater, London) Frances Edith Creed. First child of A/Eng Lt. George William Baker, officer on Submarine K5 which failed to re-surface after a dive in 1921, and Ethel Palmer, of Rochester. Son of Thomas and Florence Baker. Married (03.1914) Esther Rachel Martin, of Purley, Surrey. Education: RN engineering student, Devonport (1901). Education: RN College, Dartmouth (Drake House; 01.05.1941-1944; Admiralty No. 297). Bronze Medal for Military Valour (Italy), 16.03.1918. Younger of the two sons (with one sister) of Maj. Addison Francis Baker-Cresswell, DL, JP (1874-1921), Grenadier Guards, and Idonea Fitzherbert Widdrington, of Cresswell, Northumberland. Married (24.08.1926) Rona Eileen Vaile (04.07.1907 - 04.1997), second daughter of H.E. Vaile, of Glade Hall, Epsom, Auckland, New Zealand; two daughters, one son. Justice of the Peace (JP). High Sheriff of Northumberland, 1962. Son of Reginald Sydney Falkner, and Grace S. Baker. Husband of Naomi Fanny Baker-Falkner, of Torquay. Only son of F/Lt. George Baldwin, and Louise Winteringham, of Bedford. Married (25.01.1947, St Mary's Church, West Chiltington, Chanctonbury district, Sussex) Hazel Mary McMahon, only daughter of C. McMahon, OBE, MC, and Mrs McMahon, of Tanganyika, and of Nairobi, Kenya; three sons. Education: Sleaford & Hitchin Grammar Schools; RN College, Greenwich. Younger son (with one brother and one sister) of Dr Thomas Stevenson Balfour (1868-1912), and Ina Mary Tabuteau (1875-1953), of Chard, Somerset. Married (1939) Pamela Carlyle Forrester (04.08.1917 - 2004), youngest daughter of late Major Hugh Carlile Campbell Forrester, DL, JP (1869-1959), of Tullibody House, Cambus, Clackmannanshire, and Emily Campbell; two sons (of whom Lt.Cdr. David I. Balfour was killed in action, 04.05.1982), one daughter. Chief Appeals Officer, Cancer Research Campaign, 1963-1977. Son (with one brother and one sister) of George Jennings Codrington Ball (1868-1943), and Olive Poe (1868-1949). Brother of Cdr. George Purefoy Codrington Ball, RN (1902-1962). Son of John Andrew Ball (1856-1912), and Ellen Grundy (1860-1908). Married ... Davies; ... children (son Cdr. (E) Edward Lawford Andrew Ball, RN). Son of Lt.Cdr. Edward Grundy Ball, RN, and ... Davies. Son (with two sisters) of Robert Ballard (1870-1945), and Beatrice Combe (1872-1935). Education: RN College, Dartmouth (01.05.1934-21.12.1937; Anson Term, later Exmouth House; Admiralty No. 1404). Son of Francis William Balston (1880-? ), and Ellen Catherine Beatrice Trousdell (1881-?). Married (29.07.1935) Diana Beatrice Louise Ferrers (born 11.04.1913); one son. Son of Frank Linwood Bamford (1868-1944), singing teacher, and Hilda Alexandra Assafray (died 1930, aged 60), of Colebrook Terrace, Glasgow. Brother of Sg.Cdr. Frank Cecil Mayall Bamford, RN. Married 1st (05.12.1928, St James's Church, Emsworth, Havant district, Hampshire) Betty Jeannette Brewis (((09? ).1905 - 14.10.1934), daughter (with one brother and three sisters) of Capt. Charles Richard Wynn Brewis, CBE, RN (1874-1953), and Corry Jeannette Crosby (?-1946), of Oakfield, Emsworth. Married 2nd (06.1939, St Austell district, Cornwall) Iris E. Martin. Son of Frank Linwood Bamford (1868--1944), signing teacher, and Hilda Alexandra Assafray (died 1930, aged 60), of Colebrook Terrace, Glasgow. Brother of Cdr. Cyril Assafray Bamford, RN. Education: Glasgow Academy (1907-1912); University of Glasgow (MB, ChB, 1926; Cadet, No. 10 Officer Cadet Battalion). Resident surgeon at the Western Infirmary, Glasgow. Son of ... Banister, and ... Pepper. Son (with one brother) of Ralph Vincent Bankes (1867-1921), and Ethel Georgina Mount (1865-1949). Married (23.04.1929, Billinge, Wigan district, Lancashire) Joyce Helena Murray Bankes (21.06.1904 - 09.1974), daughter of George Hildyard Bankes (1867-1949), and Amy Orkney Stracathro Robertson (1871-1955); three sons, two daughters.